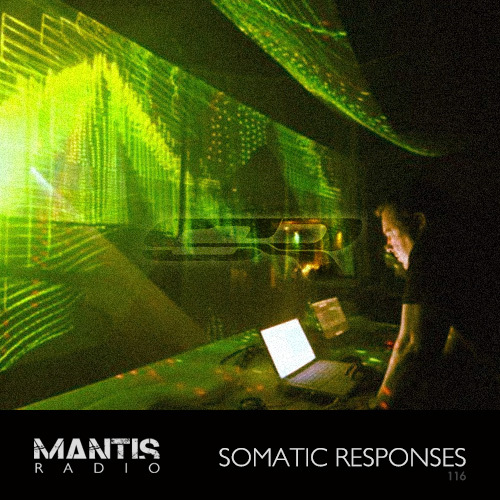 This week we welcome a duo who need little introduction – Somatic Responses. Welsh brothers John and Paul Healy are Somatic Responses and have been releasing their particular brand of aural assault since the mid 90s yet in that time have always pushed their sounds forward. Known for their heavy breakcore IDM acid sound more than their beatless ambient, they are, nevertheless a talented and prolific pair of musicians. Recent releases have been pushed through Hymen, Acroplane, Ad Noiseam, Viral Conspiracy Records and their own Photon Emissions label amongst many others. Their new album Tachyon Attack drops next week, October 8th on Dark. Descent. For their first of 2 sessions for Mantis Radio, tonight they present a 100% unreleased and exclusive ambient session. First off. Thanks for listening to this mix. Most people who know our music know that we have produced a lot of hard broken beat stuff over the years. From our early love of music, ambient (for want of a better term) always figured strongly within our influences. As time passed we’ve started to explore that love more and more. This mix is a way of getting our ambient stuff out there. We aren’t really sure if any labels will be interested or in fact what labels it may sit well with (any ideas get in touch). The music itself ranges from scifi soundscapes, pianos, welsh choir samples and horror soundtrack styles. Everything was produced within logic using various effects and plugin synths and on the whole it’s all quite heavily processed. Hopefully the use of bass in ambient music comes across as it’s an important aspect. We would really like to hear the feedback from this, any questions please aim them at our Facebook or Twitter feed!